EghtesadOnline: Austria’s top diplomat highlighted the importance of relations with Iran, calling for the continuation of bilateral political consultations with the aim of “promoting peace and stability in the Middle East”. 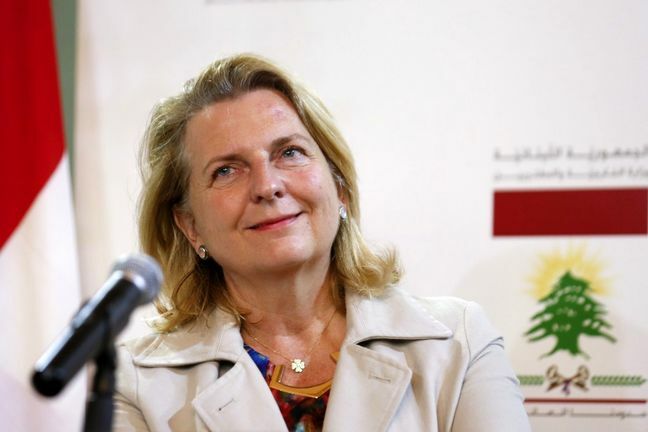 Karin Kneissl made the statement on Monday in a meeting with Iranian Deputy Foreign Minister Abbas Araqchi who was visiting the European country as part of his diplomatic tour of Europe, ISNA reported. Besides areas of mutual interest, the two sides discussed Middle East issues, latest developments concerning Europe’s proposed financial channel for trade with Iran and efforts to salvage the 2015 nuclear deal. The financial mechanism or the so-called special purpose vehicle is a payment channel designed to enable trade with Iran despite the United States’ sanctions. It is part of Europe’s efforts to keep alive the 2015 nuclear agreement (formally known as the Joint Comprehensive Plan of Action) after the US unilateral withdrawal last year, according to Financial Tribune. Araqchi commended Austria’s approach toward JCPOA and called for “the immediate implementation” of SPV so that Iran can enjoy the advantages of international economic cooperation. An EU statement welcoming SPV is being discussed by European envoys and will be launched by the end of this month if all 28 members agree. The deputy minister also met his counterpart, Secretary-General of Austrian Foreign Ministry Johannes Peterlik, to discuss bilateral ties. Peterlik declared his country’s intention to improve cooperation with Tehran at bilateral, regional and international levels. “Austria supports JCPOA and, along with the EU, deems it an international agreement based on the notion of multilateralism,” he said, appreciating Iran’s adherence to the deal that would hopefully continue to benefit Iran with the launch of SPV. Peterlik also said Austrian small- and medium-sized enterprises are willing to go into business with Iran. Araqchi appreciated Vienna’s support for JCPOA, but urged Europe to take more practical measures in this regard. The Iranian deputy minister later held a meeting with Yukiya Amano, director general of the International Atomic Energy Agency, which is based in Vienna, to talk about their bilateral cooperation in verifying Tehran’s commitment to the terms of the nuclear pact. IAEA is the United Nations’ nuclear watchdog that oversees the peaceful use of nuclear energy worldwide. He asked Amano to deal with the existing issues “professionally and impartially” as in the past three years and protect the agency’s independence in the face of “destructive outside forces”. IAEA has confirmed Iran’s full commitment to JCPOA in 13 consecutive reports since the enactment of the deal in January 2016. Araqchi also voiced hope that the EU would be able to restore “the lost balance between the obligations and benefits of JCPOA” for Iran, as there would be no reason to remain committed otherwise. Amano expressed satisfaction with Iran’s collaborations and hoped this positive attitude between the two sides would endure.